We all know that self storage units are commonly used by homeowners, either while undertaking some renovation work or when moving house – but did you know that they can also be a valuable resource for small businesses? Think about it – you want to start a business but have limited funds available and limited space at home….so where do you store your stock and your paperwork, without it completely taking over your home? The answer, in many cases, is a self storage unit. 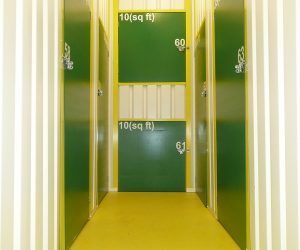 Yes, you might have dreams of owning bespoke premises, employing numerous members of staff, but in the beginning, when it is all about keeping overheads low and flexibility high, self storage really can be a stepping stone to you achieving that dream. When you are a start-up business, the last thing you want is to make a long term commitment to a lease on a commercial property. Usually though, you can rent a self storage unit on a rolling monthly contract, and if things go well and your business expands quickly, then you can easily change to a larger unit – equally, if you find you have more space than you need and you need to pull back on expenses a little, then you can move into a smaller space – all without moving lock, stock and barrel to a whole new premises and having to change your business address. Currently, a staggering 250,000 units in the UK are rented to start-up or established businesses, 120,000 of which are home to successful online retailers [Source: smallbusiness.co.uk]. So if you are thinking of starting up a business and believe you could enjoy the benefits of self storage flexibility, cost-effectiveness, security and accessibility then give us a call or pop in and speak to one of our friendly team.